Customers trying to order one of Openreach’s (BT) business focused FTTP on Demand (FTTPoD / FoD) ultrafast broadband products from a supporting UK ISP are currently unable to do so because the service recently experienced a spike in demand, which has strained their operational capacity for new provisions. FTTPoD is designed to be requested (“on demand“) in slower FTTC capable areas where Openreach’s pure fibre optic cables usually only go as far as your local street cabinet. Essentially it enables you to get an ultrafast Fibre-to-the-Premises (FTTP) line built right to your property (e.g. business or home), even if FTTP wasn’t previously planned for the area, albeit with the customer having to pay the significant build costs involved. The installation cost of FTTPoD, which can reach into the tens of thousands of pounds (examples), and its close proximity to certain Ethernet / Leased Line style solutions has always made it a difficult product for ISPs to place. Despite this there are some people who have found a use for it. This has also been boosted by the Government’s new Gigabit Broadband Voucher Scheme for small businesses. At present Openreach’s overall industry-wide operation capacity for supporting individual FoD provisions is 20 orders per calendar month (April 2018 to March 2019), which is largely due to their recent re-focus on the new native FTTP roll-out to 3 million premises by 2020. Suffice to say that it doesn’t take much to put that under some strain and now a new Stop Sell has been implemented. “We’re asking Communication Providers to hold back from placing any new orders for FoD, after a recent spike in demand. As stated again above, Openreach has previously said that they might have to ask ISPs to “hold back from placing further orders” when “order capacity for a period exceeds our ability to supply” (here), so this isn’t terribly surprising news. 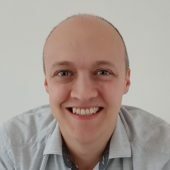 We should also point out their projected capacity for both single and multiple project orders for the 2019/20 financial year (starting from Q1 – April to June 2019) is currently expected to be able to support 100 industry-wide FoD orders per calendar month, which suggests that this issue should resolve itself in the near future. As above, it is only temporary. NOTE: FoD is a different ball game to a native FTTP deployment. In a native roll-out Openreach cover the cost of deploying fibre directly to your property as part of their self-funded or state aid supported rollout and then the property owner only needs to pay a small setup fee to get connected (i.e. they don’t have to cover the huge civil engineering costs too, like FTTPoD). Max I thought you already placed a FTTPoD order with Cerberus? give some of us the change to even bloody order it! I would had thought they learned the first time. No John he didn’t – the ISP seemed to get quite annoyed about it too in that thread! Or maybe just reduce the cost of FTTPoD to sensible ones. If the current costs were real it would cost the Alt Nets a squillion pounds to fibre up a street: which it clearly doesn’t so there is something very wrong with the OR maths. Ideally there would be a model that others could put the fibres in under DPA, terminate at the home/office and then OR would connect to the Agg Node. Thats just not fair. F for a street cuts the costs nicely. Many of these Fttpod orders are to individual residences in (semi)rural areas. They are not cheap to do with minimal properties passed to offset. Just shows how absolutely pathetic Openreach are, cant even handle 240 orders a year. Id have thought they would have been all over people buying free infrastructure for them. Just shows Openreach doesn’t have a business sense. It still lives in the past with it’s Can’t Do culture which can be traced back to GPO times. Any normal business would have worked out a streamlined and optimized order fulfillment process before offering a product or service. @Fast They certainly brought in the survey fee £250 to stop the vast time waste that was ppl taking a free punt on a survey with minimal intent on a real order. @Fastman: Joe is right, the survey cost should actually be realistic enough to avoid the situation of having to deal with too many quotes and not enough followup orders from them. Another point is that the initial online quotes are often way too high. Openreach should have a better knowledge about the condition of the network infrastructures. BT used to do more infrastructure (e.g. ducts etc) maintenance in the past. FoD is a good product, but Openreach needs to get its act together. Perhaps it should also offer symmetric fibre (same upload and download speeds) because it will be often small businesses ordering FoD. Another issue might be that Openreach is not an independent company, and the network assets are actually owned by BT, not by Openreach. Openreach itself is not yet in a commercially competitive situation where it has to stand on its own feet, it is still under BT’s budget control, and owned by BT. I have no sympathy for businesses that don’t attempt to make getting a quote a simple online process. If you make me call a human and enquire when I’m still at the feasibility research phase and only need a rough estimate, then you only have yourself to blame if I don’t follow up with an order. If there’s something we’ve learnt so far is that the estimated desktop quote is usually far from the actual survey quote (median last I checked from a few results so has been around 50%, with at least one having something like a 70%+ reduction). The estimated desktop quote is typically the worst case scenario price, while the survey quote is usually much less although can still be a few thousand to install. I’m waiting to hear what my survey quote is, I had a survey team here recently. My estimated desktop quote was around 6k ish, so I’m hoping the actual survey quote will be no more than around 3k ish. Sensible biz approach – better that way around. Fifty years ago I was employed by the Post Office. There was virtually no customer choice – you had to have a GPO phone though you could decide the colour and where to place the phone though if you wanted it moved you had to make an appointment for a GPO engineer to do it. The idea that customers should be allowed to purchase a phone and plug it into the line themselves was absolute anathema. While I was there, the Post Office switched from being part of the Civil Service to a publicly-owned corporation. The first visible sign of this was the wording on the lavatory paper which changed from “Government Property” to “Post Office Property”. Could you decide the color as long as the color was black? They were identical except for the colour of the plastic, if I recall correctly. Payphones were available for houses split into bedsits etc. Businesses could have PBXs. 200 (separate bell) and 300 (bell and draw) type (bakelite) were predominantly black but the rich houses could have have a choice of Ivory. The 400 series was the most common plastic ones replaced by the 746 in 1972/73. Black for offices, Red for fire/emergency, Grey for workshops and Ivory for home. Green imposed if phones were short. Fat slob in section stock made sure one for one maintenance exchange by colour. Manually fitted buttons on the top for shared service where subscribers shared the telephone line with next door (line/copper shortage). Electronic telephone exchanges put on hold and UK factories output electromechanical Strowger based on 1939 design. The old story of a lack of investment for 30 years then demand just went crazy. Sound familiar? I too run a number of businesses. 2) it is hard to describe the present system as either cost optimised or cuddly or streamlined. In fact I would describe it as the closest thing to telling clients to take a flying leap that OR could have devised. The only thing it has been streamlined for is to reduce take up rates. So the conversion rate would be affected by crazy OTT pricing and a hard to penetrate system with very long lead times. @joe, what now? How should a prospective customer know this when they’re looking to improve their connection? The pricing of fod is crazy, but if people are willing to pay for it why would openreach stop the orders. They stared installing fttp in my village last November and they’ve only just finished it after leaving for 7 months before coming back to finish it, but I still can’t order it after 2weeks of them leaving, I’m surprised they still continue to trade. @Fastman: Wrong! If you order a car you primarily consider your own requirements when choosing the right model. You don’t care what color, model, engine size etc others are interested in. The same is true for a telecom product. This is simply an issue with Openreach’s incompetence here. I was quoted £7,675+VAT install and £320+VAT for 330/30Mbps FTTPoD. I didn’t continue with the order. My quote was £21k plus vat & the number of premises passed for FTTP: 4. This notion that FoD is totally entirely different to Native FTTP is a myth. Extending FoD for just two customers makes it native FTTP. The HoP, AGN and fibre paths are all established and paid for. 2012 BDUK budgets catered for FTTP assuming 10-12% in-fill hence all the excess monies available. Clawback now exceeds £560m if BT choose to report it, £400m worth of BDUK work yet to be delivered, and there is still procurements to come in NI,Wales and Scotland, and there is the BT capital contribution to allowable costs to be reconciled and reported upon. It is all for FTTP in-fill in rural – about 600-700k lines worth. Let’s treat FoD like a private circuit is delusional. CBP stills treats FTTP as if it were a gift to be granted. Fastman – BT’s USO offer includes in excess of 100k FTTP in-fill. Components are the same, this manisfestation of FTTP-FoD is just a temporary fudge hopefully, for shareholders customers and Openreach. Fastman, BT B-USO recent response to being a designated provider. You make my point, it is not this FTTP but that FTTP! The same network elements, ports on a router, spare fibres in a bundle, same AGN. Your adding adding secondary splitters where needed, running fibre fibre over poles and attaching connectorised end points to DPs. It is quite straight forward for rural. Why the drama? I do not understand what is now 6 years of hesitancy. Ah, another “Fibre” debate but on Fibre itself. Companies that traditionally use data know the technologies, processes and timescales but its natural that as general awareness of FTTP increases that other businesses with will also seek it so we will see demand for FoD increase. The issue here is that each needs to be planned and costed with only a percentage of requests actually proceeding. Some of the FoD requests can be very complex and time consuming. What makes it worse is the increase in “remote” commercial development like buying an old farm and turning its buildings a business park with no upfront checks on available infrastructure first (including water and electricity). Of course will be rosey when we get wider FTTP but in the meantime if there are limitations of both employee and contractor personnel I would prefer them to be working on the mass FTTP rollouts rather than being diverted to one offs. I do hope though that OR and others concentrate more of their efforts to town centres, industrial parks and trading estates which in many cases have been neglected. One of the difficulties is regulation and GDPR make it more difficult to canvas, advise and forecast demand. So we stop developing rural business parks and distribution hubs? We, as country, need to be doing both. If private capital will pay a sensible rate to enable a fibre link and this can then be bootstrapped with some spare fibres in the duct or bundle which can then be resold to allow an Alt Net or B4RN type business to get a connection to a Not Spot then this is a great exemplar of market synergy. Remember a few short weeks ago a certain cider business connected their community. That is business being socially responsible and reducing costs at the same time: win win. Unfortunately OR rather than thinking that when a a private business runs a route out to the middle of nowhere passing a few villages is giving them a very valuable asset that they can leverage thinks of it as a cost. This is a very wrong business model. This is where OR could and should be using private cash to build out the remote spine networks but they should make the pricing very attractive. This does not need to be seen as diverting resource as it is a key enabler of the next step of connecting homes to backhaul. If the hypothetical village has fibre to one cab/phone pole then it is a pure FTTP deployment otherwise it becomes complex thinking. And then it is an example of bad business thinking where a few complicated things are stacked on top of each other to produce what is together an intractable problem that is too complex to be squeezed through the standard model. Pick the problem apart and use a variety of enablers/funding sources. CEO of Openreach at the Q4 results day in 2013-14. The capacity to do this work is owed – big time and has been long promised. The budget to do the work have known since 2012. @A_Builder. No I am not saying rural business should be ignored my point is actually about leafy Surrey/Sussex. That’s why highlighted the need to target business locations. My point is priorities and if disproportional focus is placed on FoD it will be a less efficient use of network planners and installation crews. We all know BT is currently in difficulty due to past decisions, debt and losing a lot of expertise. Hopefully they will be able divert more resource and investment as they resolve their problems. I am sure OR planners consider wholesale, existing, planned, new build etc when planning but FoD needs to be kept in proportion. I bet currently there are just as frustrated Openreach planners that are not getting their plans approved. There is quite enough money in FTTPoD to fund separate planning and deployment teams so that it is not a distraction from bulk FTTP rollout. If an organisation as big as OR cannot organise itself to do two similar things at once then there is little hope for it. As it would show totally appalling board level management and thinking. I have slightly more faith in OR getting its act together in the new BT central no BS era – I hope not misplaced. Even at the present crazy prices there is over demand hence the cap on orders. More the problem is that the tiny number of deployments mean that the back office cost (overhead) of organising these deployment becomes disproptionate. Pumping more volume of order through the system will being the overhead proportion down. @A_Builder. The commercial case for FoD may well be there but they are short of money and it cannot be autonomous. Years ago there were 64 telephone areas divided into service areas. They were the days when sales, maintenance, planning, installation and the drawing office were all in the same place so issues could be resolved over the desk. 40 years of functionalisation, forced accommodation moves etc have taken there toll. Although OR are migrating to “hubs” they are still often detached from local geography/knowledge and communication between teams all working on the same dynamically changing network means all parties need to co-ordinate and that impacts on the other teams. If it makes money or is cost neutral then it should be resourced as it is part of the fibre first strategy and was part of wider promises given regarding fibre accessibility. As I and others have pointed out this is also a pathway to OR getting assets funded by others and these kind of deployments should be prioritised as they delivered an asset/benefit/ROI to OR. If OR are really installing only 10 FTTPoD per month then a lot of the hypothetical 64 areas would be not doing much for quite a lot of the time. I don’t think the solution is going back to regionalisation. Talking to OR staff they do still have pretty detailed local knowledge but it may be that the old timers are moving on and the younger generation, who have not done much duct work, don’t understand the layouts. Some others on various threads have railed against using the PCP’s as fibre hubs. There are good reasons why the PCP’s make good sense – cost and speed being two of them. A few people with good knowledge have pointed out that the cost/difficulty issue is very often that the Agg Node is not necessarily anywhere near the DSLAM as being a cost issue. However, we can all be sure that the fibre does actually go to the DSLAM or to the Gfast pod. OK granted the fibre is differently purposed at present [lets ignore any spare fibres] but there is nothing technically stopping it being used to co-deliver to FTTPoD from the DSLAM other than the built in OR doctrinal approach to network deployment. Really it would be pretty easy to put another small pod on the other side of the PCP to the Gfast pod which contains either an active (there is power there) or passive fibre splitter and just link it across to the Gfast backhaul already there. Then when someone wants an FFTPoD the fibre is run to a connectorised block on the pole and it is there for other to take advantage of in the future. OK it is simplistic and won’t work everywhere [nothing every does] but I think we can all see that it is a generalisable solution that could be quickly deployed in an awful lot of places. Alternatively you could just put a fibre card into a DSLAM or Gfast pod. Certainly for the Huawei DSLAM’s that is a real product. 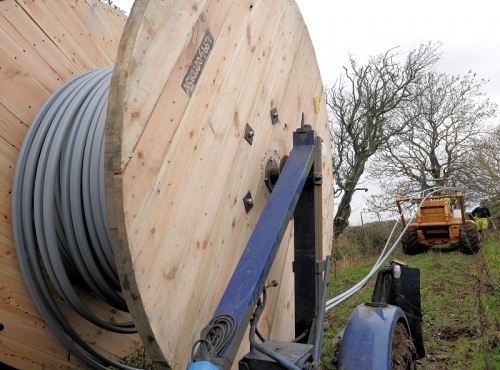 Time for ISPs to seek alternatives to Openreach, such as building their own infrastructure. Some ISPs are supporting specific investments but the market appears to be moving to “open” infrastructure providers (Cityfibre, OFNL etc). We are in a period of change (better late than never). Unfortunately patience required. What we need to ensure is that genuine business broadband demand is resourced. anyone would think that was easy !!!! Fttpod isn’t so much business focused it’s desperation focused more likely from the purchaserwho has little to no hope of fttc or native fttp for years. Suppose I could have posted something about this earlier mark: OR had forwarned this stop was coming weeks back and it had already leaked out to the various fttp boards. In principle FTTPoD is a win-win: people who really want FTTP now can get it, rather than waiting 10-15 years or more; and OpenReach gets fibre asset mostly paid for by someone else, which they can leverage in the future, plus at least one guaranteed customer paying monthly rental. If there’s anything distracting OpenReach from full-fibre rollout, it’s G.Fast. G.fast is only of benefit to people within 300m of a cabinet – in which case (a) you might as well deploy fibre DPs and be done with it, and (b) it only benefits people who already get near to the maximal 80/20. Full-fibre rollouts would be cheaper per property passed – but if most of the properties passed already have 80/20 FTTC and are happy with it, then there may be little take-up to recoup the cost. G.fast depresses the business case for FTTP even more. I also think the £92 wholesale activation fee for a new fibre connection is too low. Let it cover part of the cost of the fibre backhaul, as well as the actual installation cost (drilling through the wall, installing ONT etc). But keep it reasonable – say £500-£750. That’s comparable to upgrading a PC. The OR planner will have some flexibility regarding spare capacity while completing a FoD but no company can build additional capacity unless there is a clear indication that it will be exploited imminently. OR have already switched from any new cabinet based G.Fast but they need to exploit the investment already made and if FTTC is sufficient then what’s wrong with that. I don’t know whether OR will recover FTTC as they roll out FTTP but my view is they will go for a hybrid approach as they address EO and the longer lines the fibre will pass the FTTC provision areas which will reduce gracefully. During the transition the demand for higher speeds will increase and G.Fast is not provided 100% against the lines that can support it so I see G.fast and FTTP coexisting until OR determine a individual cabinet turn off and they use the kit to supplement elsewhere. You know what annoys me about the activation fee currently? You pay it every time you change provider. So the first time, it will include having the engineering works done, but after that it is still charged even though the work is just to throw a computerised switch. I have been waiting for Cerberus to actually give me a quote since FTTPoD was opened up again earlier in the year and as of yet nothing. I presume that that’s now due to demand not poor service. I guess that’s a upside. As is that demand is strong. What’s the chances this increases the FTTP roll out nationally? Sell what you have,not what you ‘think’ you have…classic cockup! Open-reach have very little reason to reduce their construction charge (which makes up a large part of the FTTPoD pricing) as a large portion of that is probably cost that Open-Reach incur with civil construction and as long as they have a supply/demand issue then they will always keep prices high to ensure that they can make the most profit. As for their current delivery time. I enquired about the service in late July and signed/paid for the construction mid September and I still haven’t recieved my estimated completion date. I can only assume that this spike in demand is the cause. I am hoping to see some progress or even completion before Christmas but the likely-hook of this seems to be decreasing with every passing week. On the bright side, Cerberus seem to be fairly proactive and are keeping me informed.